Many of our readers have addressed the amount of snow and ice on the roads since Saturday’s winter storm. Complaints have been directed at the lack of salt, and abundance of snow on the roads. 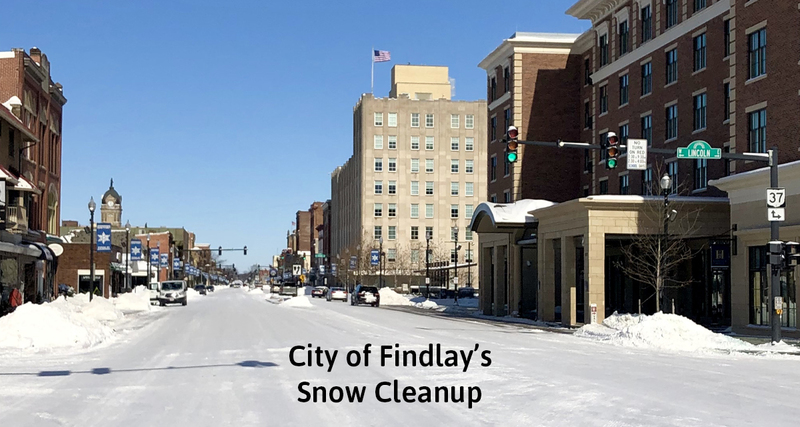 Social Findlay has been in touch with the City of Findlay’s Director of Public Service and Acting City Engineer, Brian Thomas, who provided explanations. City residents may have heard the plows as early as 3am Sunday, when they began a second pass through town. Thomas also described salt’s lack of effectiveness in very low temperatures, like those felt in town since Saturday’s snowfall. Tuesday has been slightly warmer, so salt is now being applied. Snow removal will continue as needed. Add to that Wednesday’s predicted temperatures above freezing, and coming rain, it should all be washed away soon.